Friendships mean the world to a bride and groom on their wedding day. 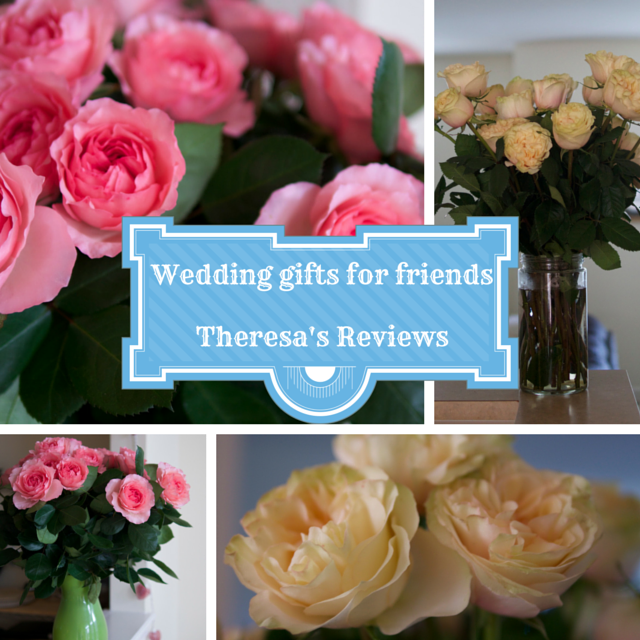 Since August is one of the most popular wedding months, now is the right time to purchase wedding gifts for your friends. Gifts from friends don’t have to be traditional or expensive. Instead, give something meaningful. Check out some of my picks below, and buy your friend something from the heart. With beautiful roses, you can help fill your friend’s new home with color and a lovely aroma. Walking into a home with roses emanates a special warmth, ideal for the moments after the wedding day. Pink roses bring warm color into the home. White roses give the home a celebratory spirit for the nuptials. Spring in the Air roses grow on farms in Colombia, South America, where experts select roses that are at the right stage to bloom when they arrive. Since I’ve tried out the company’s roses before, I have seen how beautiful several different varieties of the roses are. The roses continue to open and bloom for days, bringing life and vitality to the whole room. Arrange a tea with your friends to celebrate the nuptials. Give the bride Velvet Lantern’s tea party in a box set to create a festive get together. 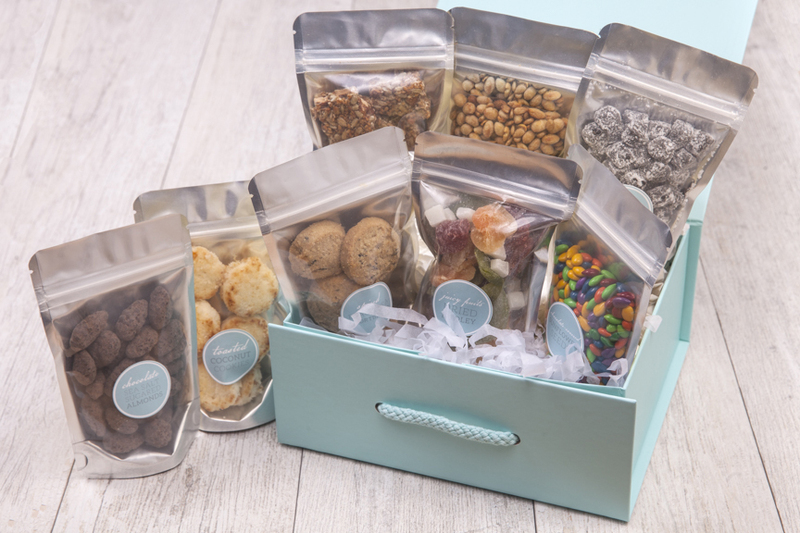 Inside the box, you will find eight different snacks, including a dried medley of juicy fruits, chocolate sea salt sugared almonds, slightly sweet soybeans and sun seeds, honey sesame cashew crisps, toasted coconut cookies, mochi with black sesame, chocolate-covered sun seeds, and spiced black tea shortbread. When I tried these snacks out, they were delicious. The company even threw in some loose tea that went great with the snacks. For a bride who loved Beauty and the Beast when she was growing up, this teapot set has a whimsical design that makes them appear to come to life and dance. While the items look beautiful as decorative tchotchkes setting on a shelf in the kitchen, they also work well in serving their purpose as teapots. The muted orange color can go with a lot of color schemes, to make them look nice in the newlywed’s home. I tried the teapots out in my home, and I instantly adored them. The small teapot is great for a single serving of tea. When you have friends over, the large teapot would hold enough for several people. Another delicious treat would be festive, D’Leche Confections. 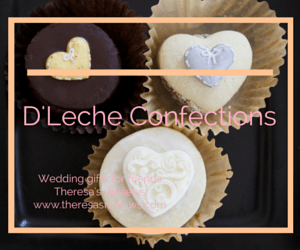 With the wedding and party favors collection from D’Leche, you receive four elegant treats. Elegant designs help celebrate the couple’s nuptials. Each treat has two soft cookies on each end with a soft, dulce de leche caramel center. On top, the chocolate hearts look alluring for the occasion, and the hearts taste good too. The chocolate was my favorite because of its rich, delicious flavor. With an herb kit in garden jars from Modern Sprout, you give the gift of fresh herbs for your friend’s garden. Newlyweds on a budget can appreciate always having herbs to cook with. Growing herbs is an enjoyable pastime too. The herbs use a wick method to procure water, so they aren’t very high maintenance. To grow, simply add water to the jar, then put the growing medium, the soil, and the seeds. When you order the four jar kit, you also get a free wire basket holder that would look nice inside or outside the newlywed’s home. For a budget-friendly idea, you can order individual jars. Cooking in the home becomes a real treat when you add your own herbs to a dish. I planted cilantro seeds in one of the jars, and I was happy to discover sprouts within a week of planting the seeds. You can check out my Instagram page to see the sprouts. Help your best friend prepare for her vacation after the wedding with a colorful nail polish set from Kismet. The bride will receive a classic, bright, pink for a bold evening out celebrating as well as a soft pink for a low key occasion. Vibrant blue and soft purple give some personality to an outfit and can go great with matching bathing suit colors. With this variety of nail polish colors, your friend is bound to have a blast on her vacation. I tried the nail polish out, and I had the hardest time narrowing down which color to wear. The vibrant pink was my first choice, and I can’t wait to try the rest. For 20% off, use promo code HAPPYNAILS20. Handmade in Maryland, this pair of necklaces from Vintage Stamp Jewels looks great layered, and at $50, it’s an affordable price. 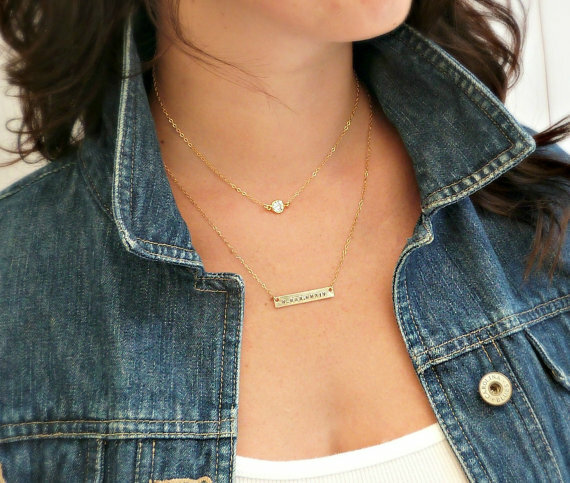 Each chain is separate, which gives the item versatility, making it easy to create new looks. Another cool feature is that you have the option to personalize the gold bar with the wedding date, the bride’s initials, or something else to symbolize your friendship. Sparkling on the chain above the gold bar, the Cubic Zirconia gem draws attention to the jewelry with subtlety. I wear this necklace with tee-shirts and work clothes. The style can be both casual and professional. 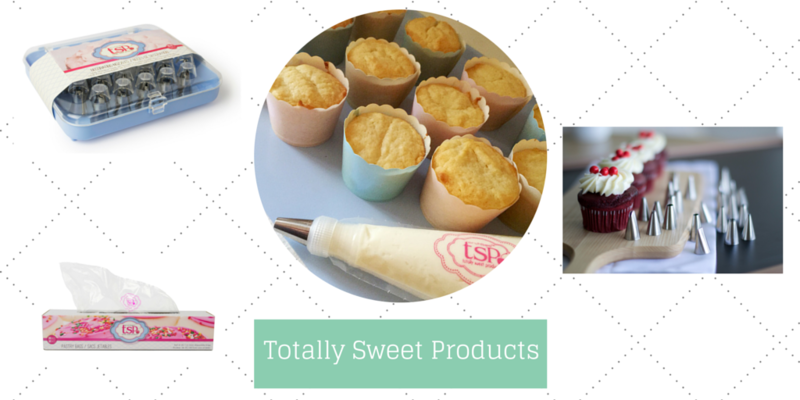 Totally Sweet Products makes baking accessories that are an excellent gift idea for anyone who loves baked goods. Even a novice baker can whip up something tasty with these baking tools. Decorating cupcakes with the nozzles and disposable bags, I found that the nozzles were high quality, and I liked the convenience of disposable bags. As a mom of two kids under age six, I had an amazing time teaching my kids how to decorate our pink camouflage cupcakes with pink icing, pink sprinkles, and pink candy pearls. You can check out some photos from our decorating adventure on Instagram. When we sat on our porch eating our vibrant, pink dessert with our gold Hampton Forge flatware, and wearing our matching pink Kismet nail polish, my daughter felt like a true princess. 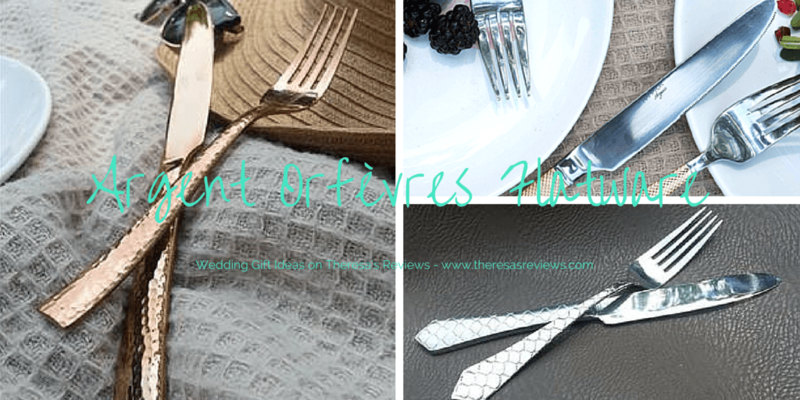 Argent Orfèvres is a luxury brand of flatware offered by the Hampton Forge company. The brand has appealing and unique designs. To fill a traditional request on the couple’s wedding registry, purchase a classic style, such as the Rio style in silver. For nice occasions, gold or copper silverware can bring a sparkle to the table. At Christmas, when the home decor has gold accents, lay out the Paris Hammered Gold or Copper set of silverware to create a warm place setting and to make the table a welcoming place for guests. Buy a Bella Rocket Extract Pro Plus blender to prepare the newlywed’s kitchen for many occasions. With a four cup capacity, the blender can make enough for the newlywed couple and friends. The item is practical for a busy, working couple. Using the cups, you can make single serve juices to take on the go. Drinking homemade juice is a thoughtful strategy to help keep a newlywed couple healthy. Cooking is easier with a high quality, ceramic pan. While cooking for my family, I used this fry pan for a couple weeks to review it, and I was impressed with how well it worked. Nothing stuck to the bottom of the pan, which made it simple to clean. The high edges of the pan prevented splattering when I stirred the food. You can buy the fry pan in a 12″ or 10″. If you can splurge, you can buy both to help prepare the newlywed’s home for daily cooking as well as parties. Another cute kitchen item is this salt and pepper shaker from Peugeot. With bright coloring, the item adds a young, modern edge to the kitchen. You add salt to the top of the item by pushing on the lid. The bottom half grinds pepper to add a fresh taste to any meal. I use this item in my home, and I’ve had great results using it. Salt comes out slowly, while the freshly ground pepper tastes delicious. With food huggers, you can keep items fresh in an eco-friendly way. Pop the food huggers on any containers that fit the lids. The items can also fit fruits and vegetables. If you eat half an onion, you can keep the other half fresh. With food huggers, you reduce your grocery expenses as well as the amount of food wasted in the home. I’ve used the product in my kitchen. When I only wanted to use three quarters of an apple on a salad, the food huggers helped save an extra bit for my kids to snack on the next day. With the Capresso 5-cup mini drip coffee maker, you can make each person a fresh cup of coffee in the morning. One neat feature is that the product has a permanent filter. You won’t have to worry about buying paper filters, which saves time, money, and the environment. Being newly married requires a lot of energy. Give a gift that will help couples power through the hard times and celebrate the good times. Moving in together, some couples don’t live in a place where they can have an outdoor grill. With the Ronco Ready Grill, you can create a meal with a tasty, grilled flavor in as little as 20 minutes. Cooking with the product is simple. After putting your food on the rack, check it from time to time to see that the food cooks to the right temperature. When buying a grill isn’t a possibility, an indoor grill can help create the taste you crave, because baking and sautéing gets old eventually. Reduce has containers that are excellent for holding beverages. For an adventurous couple, a 64 oz jug is ideal. The jug can keep beverages cold for up to 48 hours, and it keeps drinks hot for 12 hours. The company also sells water bottles that come in a set for the entire week, to help the couple stay hydrated and healthy. I previously reviewed the kids’ WaterWeek set, and I can recommend the adult version. I received a free item that helped inform my writing. This is no way affected my point of view. i love creating wedding gift registry, so fun! I prefer something for my bed and kitchen. Thanks for including Modern Sprout! We are glad to hear your Cilantro Garden Jar is off to a great start! I love this! I am always so tired of trying figure out what to get as wedding gifts. I am always afraid that they couple will get 5 of what we picked out. I love how you gave some ideas for gifts that are out of the ordinary, and require some extra thought. This is great. My friend is getting married, and has everything already. I love the idea of the kitchen herb garden. These are all great gift ideas. If I was getting married, I’d want that pro blender and the Velvet Lantern Premium Tea-Party-in-a-Box for sure. I’d like them all though lol. These are great wedding gift ideas. There is one wedding coming up in the family and this is so timely as I still haven’t thought of a gift. My cousin and the groom are both health conscious. 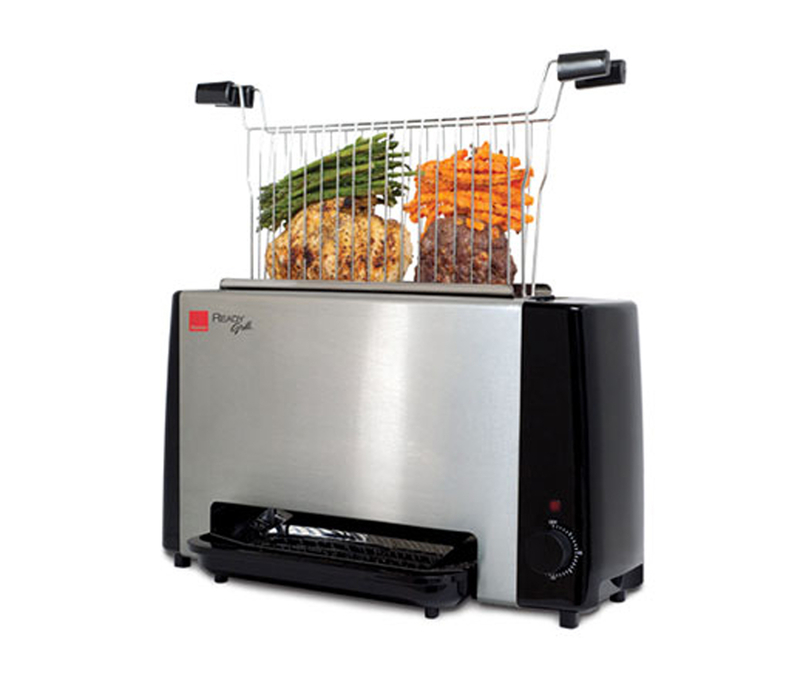 I’m sure they will love the Ronco Ready Grill. 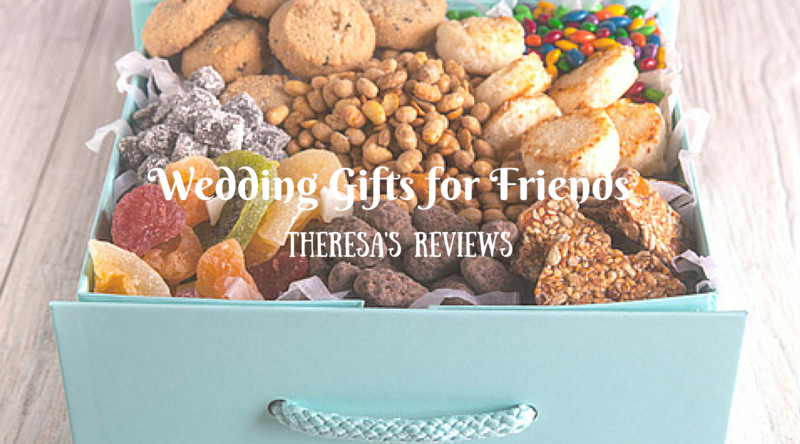 What a great list and highlight of wedding gifts for friends! Seeing most of my friends are foodies, I love the herb kit and am sure it would be a big hit! We could all get together and inspire each other with what we cooked or baked after the wedding! Love these ideas, but I found myself plotting when to get these for MYSELF LOL! 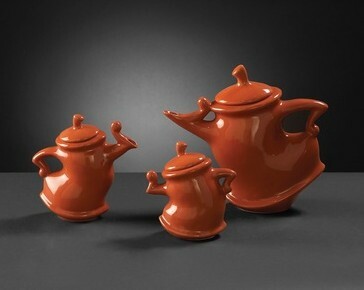 Especially the contemporary glazed tea pots! But thanks for the list. sometimes it’s so easy to stick to the normal expected things for wedding gifts! Great ideas! there are so many great gift ideas here. I know when I attend a wedding I have a hard time deciding. You’ve given so many great ideas I’m going to bookmark it for later so I can keep referring back to it. The tea party in a box is such a great idea! That is something both people in the couple would like… well at least in our house! I have never heard of this product before but I love it- great gift for so many occasions! Thanks so much for sharing this! You have no idea how on time this post is for me. My best friend is getting married in 2 weeks and I am trying to figure out what to get them as a gift. Thanks so much for these options. I find that choosing a gift is really tough especially when you want it to be special.